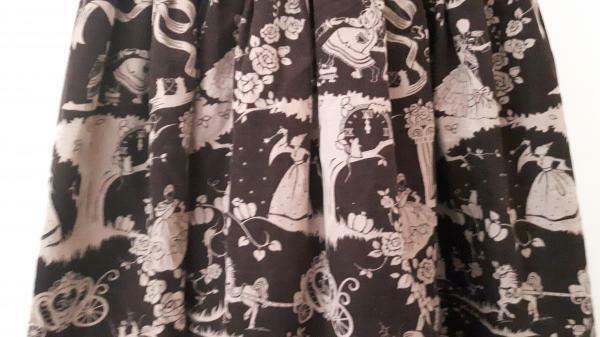 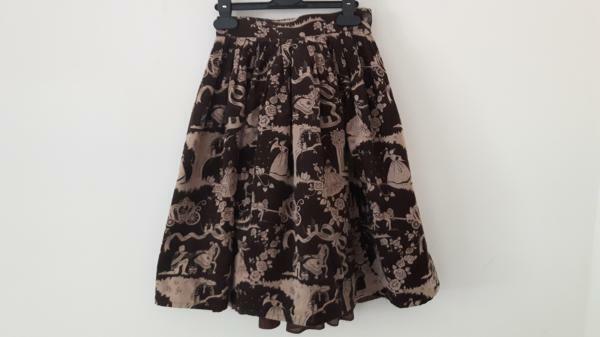 Gorgeous skirt by Innocent World, heavy printed fabric with a Cinderella fairy tale theme. 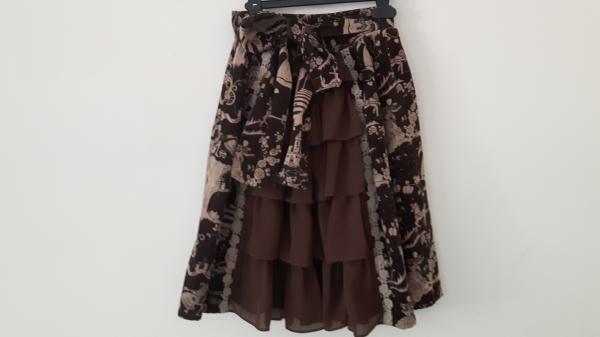 Chiffon bustle at back. 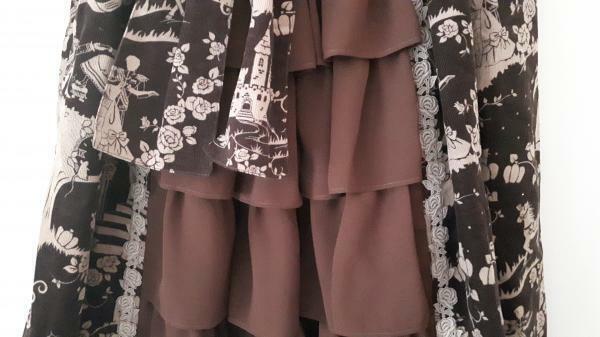 Detachable waist ties.